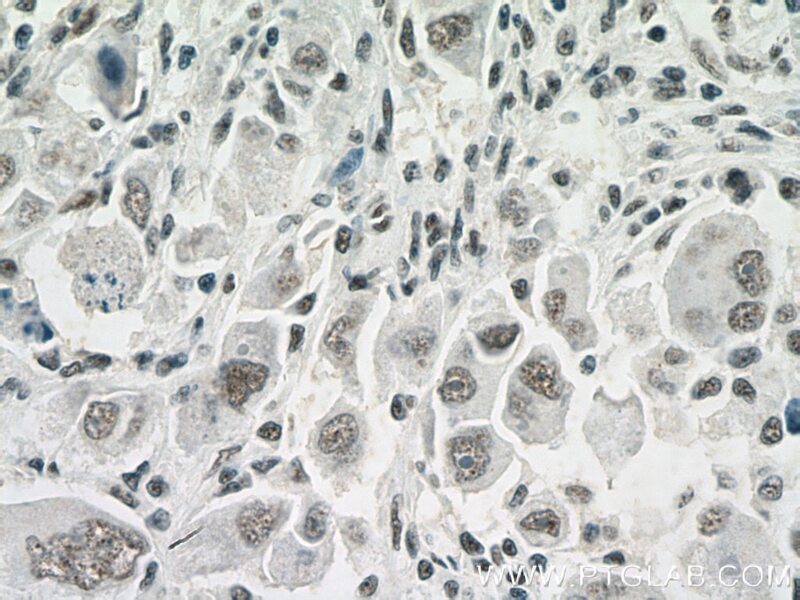 Immunohistochemical analysis of paraffin-embedded human liver cancer tissue slide using 27488-1-AP (NDNL2 antibody) at dilution of 1:100 (under 10x lens) heat mediated antigen retrieved with Tris-EDTA buffer(pH9). 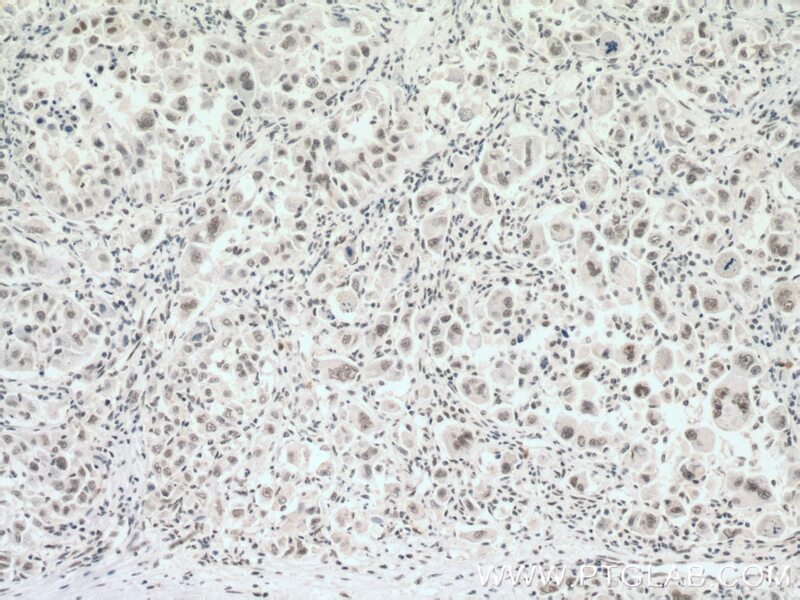 Immunohistochemical analysis of paraffin-embedded human liver cancer tissue slide using 27488-1-AP (NDNL2 antibody) at dilution of 1:100 (under 40x lens) heat mediated antigen retrieved with Tris-EDTA buffer(pH9). 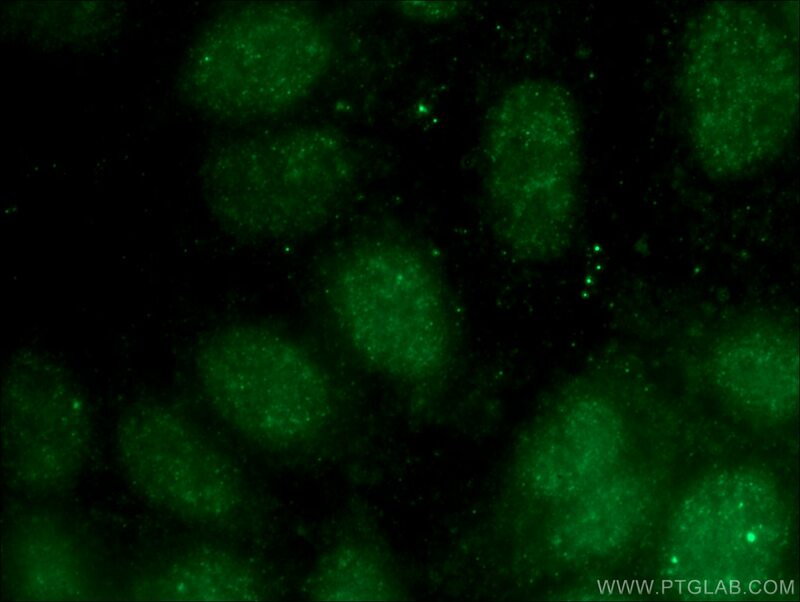 NDNL2 (also known as NSMCE3 or MAGEG1) is a part of the SMC5-6 protein complex that is essential for DNA damage response and chromosome segregation (PMID: 18086888; 27427983). 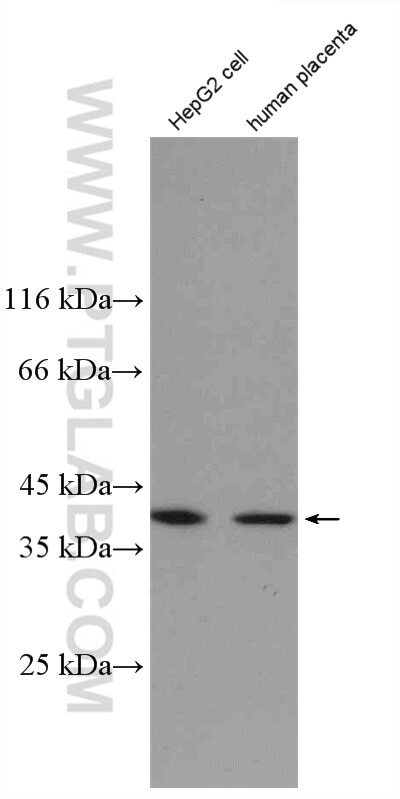 The gene of human NDNL2 maps to chromosome 15q13.1. 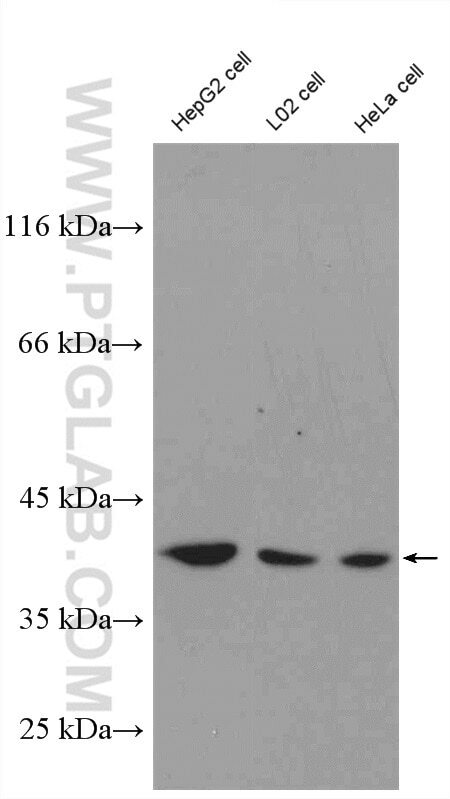 Northern blot analysis detected expression of a 1.9-kb transcript in all human tissues tested, with highest expression in testis (PMID: 11782285). Missense mutations in NSMCE3 have been associated with an autosomal recessive chromosome breakage syndrome that leads to defective T and B cell function and acute respiratory distress syndrome in early childhood (PMID: 27427983).